Directors' Cut of Montane Spine Race TV 2018, featuring bonus unseen footage. Includes The Montane Challenger, Montane MRT Challenge and The Montane Spine Race. 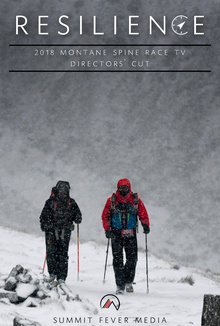 Directors' Cut of Montane Spine Race TV 2018, featuring bonus unseen footage. Includes The Montane Challenger, Montane MRT Challenge and The Montane Spine Race. The Montane Spine Race is widely regarded as one of the world’s toughest endurance races. A truly epic challenge that will test your physical resilience and mental fortitude. Racing non-stop along the most iconic trail in the UK, experience the full intensity and ferocity of the British Winter.